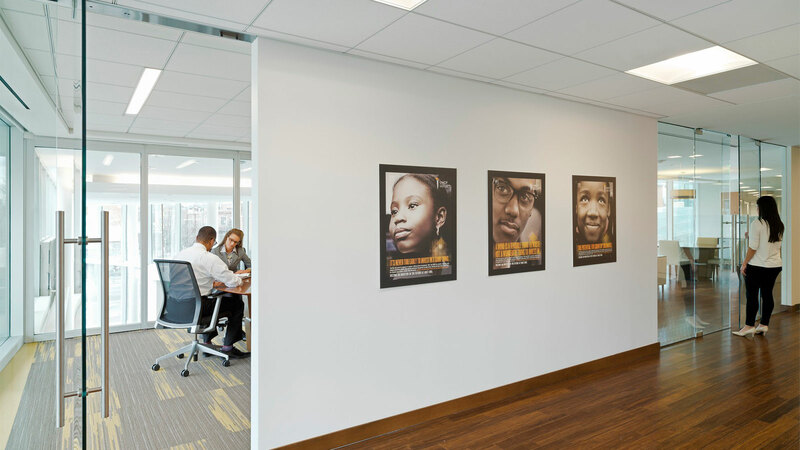 IA designed a high-impact workplace and an interactive learning environment for a non-profit organization's relocation. 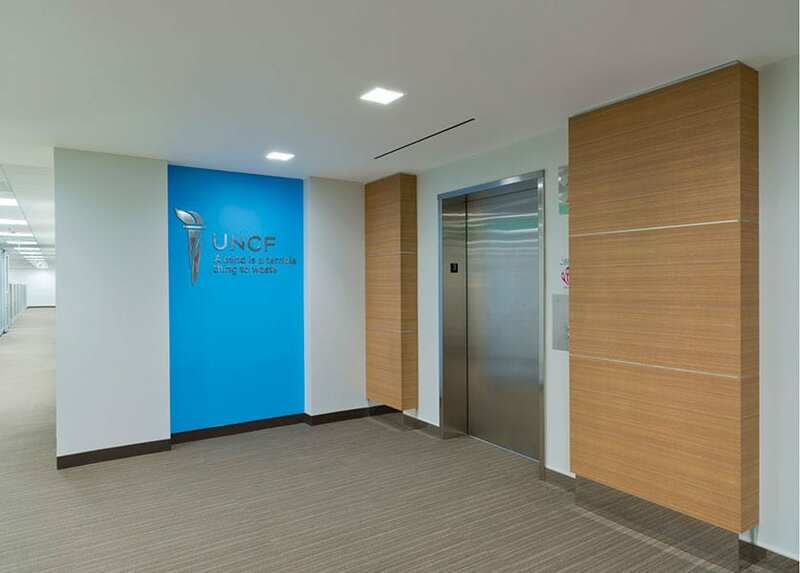 UNCF in Washington, DC. Photo by Adrian Wilson. 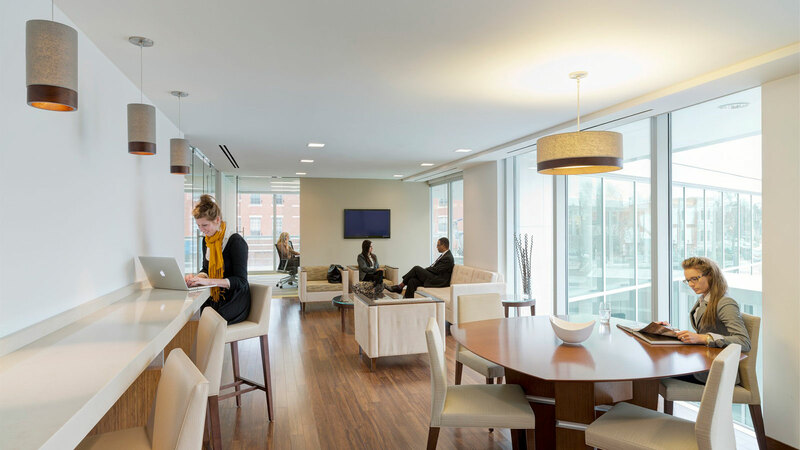 A varied roster of of end users—employees, students, alumni, donors, and university supports—all utilize the new space. 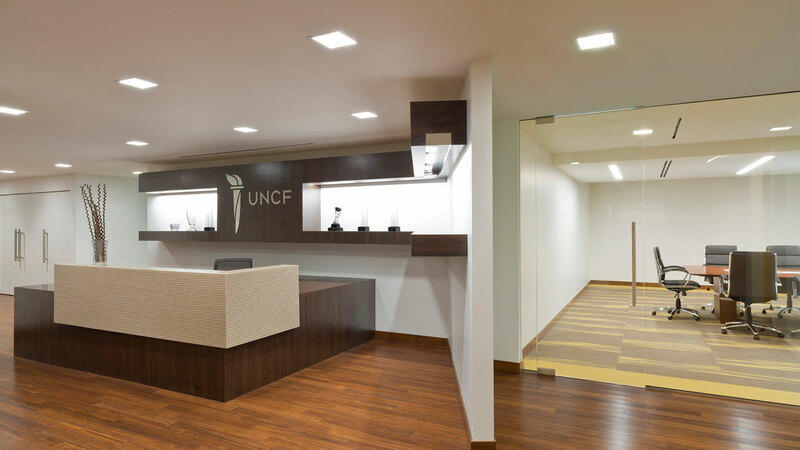 UNCF’s values of transparency, collaboration, and unity are physically supported throughout the space, which includes a gallery space to host events and rotating exhibitions.